Faculty and alums present and perform, student-run AEMMP Records hosts "Lil' Taste of the Chi" hip-hop showcase, students participate in cutting-edge media, entertainment, and technology industry events. Chicago (March 10, 2018)—More than 100 Columbia College Chicago students, faculty, and alums will showcase their talents and immerse themselves in the South by Southwest Festival (SXSW) this year. 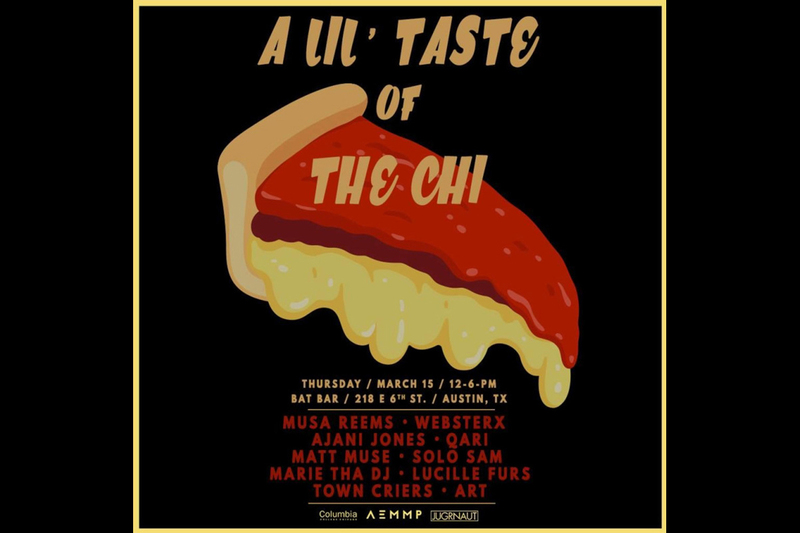 Faculty and alums will participate as featured speakers and performers, while the country’s longest standing, award-winning, student-run record label, AEMMP Records will host a special hip-hop showcase, “Lil Taste of the Chi,” at an offsite venue on March 15. Representing a range of Chicago talent in music, film, and television this year’s Columbia delegation is the largest yet to attend the festival. Students from the Business and Entrepreneurship Department and the Cinema and Television Arts Department will immerse themselves in the latest technologies and innovations that are redefining the media and entertainment industries. In 2017, SXSW reported more than 421,000 participants, 2,128 conference sessions, and 5,088 speakers, with SXSW Music standing as the largest music festival in the world. Despite the size of its conference and festivals, Columbia takes full advantage of all it has to offer. “I started the trip because I saw it as a very real-world opportunity for the students to immerse themselves in the media industry and engage with industry professionals converging on Austin from all over the world,” said Business and Entrepreneurship Associate Professor Justin Sinkovich, a 19-year SXSW veteran and instructor of Columbia’s AEMMP Digital Distribution and Promotion Agency Practicum. The first Columbia delegation attended SXSW nine years ago. This year, the first cohort of film and television students will attend the festival, and AEMMP Records will bring Chicago-style hip-hop to Austin, Texas with support from faculty member Alex Fruchter of Closed Sessions ( the “independent record label restoring Chicago hip-hop”). Columbia College Chicago is a private, nonprofit college offering a distinctive curriculum that blends creative and media arts, liberal arts and business for nearly 7,500 students in more than 100 undergraduate and graduate degree programs. Dedicated to academic excellence and long-term career success, Columbia College Chicago creates a dynamic, challenging, and collaborative space for students who experience the world through a creative lens. For more information, visit www.colum.edu.